Had some family over last night who thouroughly enjoyed the on tap selections. We stood three of them up next to each other: Rye, 51K Clone, and Saison. Yum! I agree. Nothing better than honest feedback. Especially when it’s positive. Some feedback is questionable. I had a friend of our tell me my wheat beer tasted just like Shock Top. I wasn't sure if I should have been happy or upset. Actually she is a great lady. I make sure to brew a wheat every summer for her. She gets her husband to drive home. 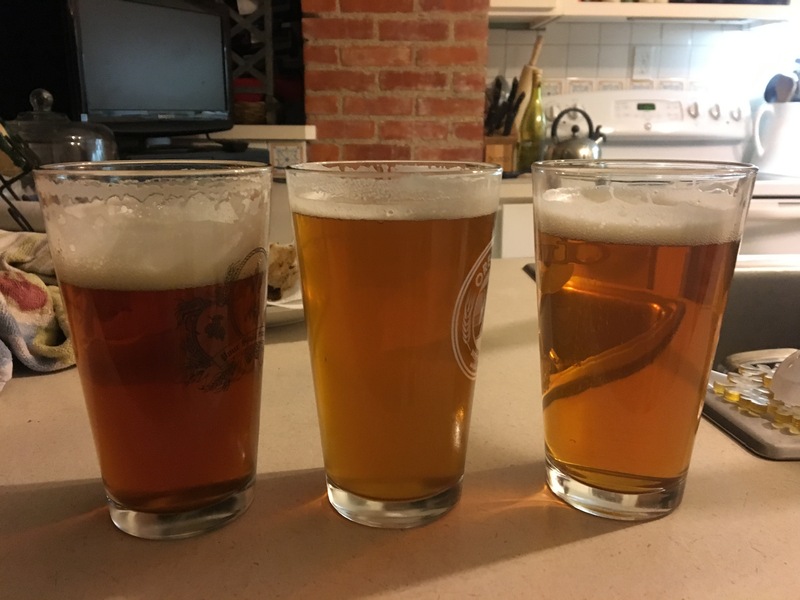 It is cool when someone tastes your beer for the first time and asks "you brewed this"?